You might have heard ‘scary’ things about Jakarta: the maddening traffic, heartbreaking poverty, even terrorist attacks targeting expatriates. 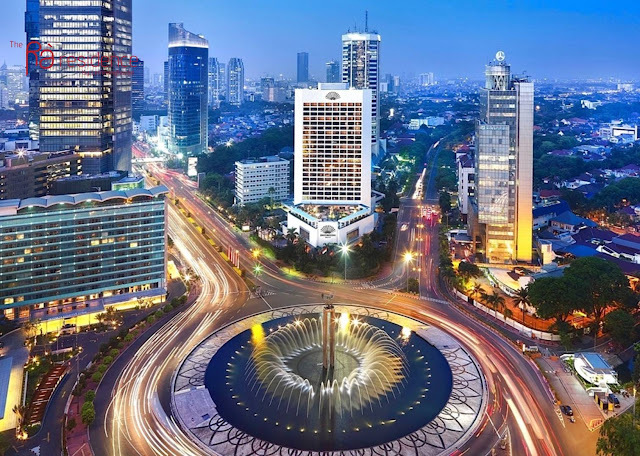 If you are considering an offer to relocate to Jakarta, it is no wonder you are very concerned about your family’s wellbeing! But let us tell you the truth: living in Jakarta is actually not as scary as you thought. It is truly exciting and fulfilling! In HSBC Expat Explorer Survey which involves more than 7,000 expats in 37 countries, Indonesia ranked twelfth in the world with economics and experience criteria. Expats who are living in Indonesia reports very positive experience living there, according to the survey. 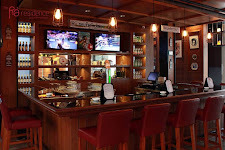 So, there is a very good chance that you and your family would find your happiness in Jakarta, Indonesia too! Some terrorist attacks did happen in Jakarta and other parts of Indonesia, mainly targeting expatriates. However, the Indonesian Police Force has formed a special unit to combat terrorism, which has successfully captured many most wanted terrorists. Since several years ago, a thorough security check has also been a very common practice in every hotels, shopping malls and office buildings in Jakarta to prevent such unwanted events. As a result, Jakarta has been a relatively safer place these days. It is advisable for expats to stay in a well-guarded housing compound. Installing alarm and other security devices might be able to put your mind at ease, too. However, one point to keep in mind is to have good relationships with your neighbors, wherever you choose to live, because they are the people you can turn to in the times of need. Many expats love to live in expat areas to form quicker bond, but your Indonesian neighbors would be more than willing to help you too, as long as you are friendly enough. Some expats even get along very well with the local neighbors to the point where the kids can practically spend the whole day in their homes. The rapid economic growth in Jakarta has caused its air quality to worsen. Gratefully, most expats in Jakarta spend most of their time in their air-conditioned cars and homes, or in air-conditioned office buildings and shopping malls; minimizing the exposure to the outside air. If you are parent of babies or infants, you might be concerned about the quality of tap water too. Unless you install a reliable water purifier at your home, tap water in Jakarta is not drinkable and can be dangerous for babies and infants. However, mineral water is highly accessible and very cheap, so many expats (and even locals too!) use mineral water for brushing teeth and other essentials. In order to minimize the problem of air and water pollution, many expats like to live in Jakarta’s suburbs, away from the highly polluted city center. Areas like Bintaro and Serpong or BSD City have been preferred by some expats due to the better air and water quality. It might result in longer commute, but such areas are well-connected by toll roads; making the long commute pretty bearable. For expat kids, there is a broad assortment of schools in Jakarta and its outer suburbs; from international schools to national “plus” schools. The biggest challenge will be to decide which program fits your children and your family’s needs. If you know that you will be in Jakarta for a specific amount of time only, International Schools might be the best option due to its easily validated and transferable curriculum; so your kids would not have trouble continuing their education in other countries. Another option for expat is Indonesian national “plus” schools, which are local schools that offer international curriculum and use English as the medium of instruction. As these schools are not as expensive as the international schools, they are a good alternative for expats who are staying in Jakarta long-term and for those whose companies do not cover the cost of education. Enrollment in most Indonesian schools begins in April of each year for July admission. A few popular schools have waiting lists, as the number of expats trying to enroll their kids keeps growing. Therefore, it would be advisable to contact the school of your choice as soon as you find out the date of your arrival to Indonesia to secure a spot for your children. When you live in Jakarta, you can choose to live in fear or to enjoy and make the most of your time in this exciting metropolitan which has so much to offer. Your heart might sink a bit when imagining mountainous tasks you need to do before and after your arrival in Jakarta, but you can always get professional help! One of the major tasks is to find accommodation that suits your needs. Many expats agree that the maddening traffic jams is one of the biggest challenges and sources of frustration when living in Jakarta. Because of that, many working expats choose accommodation in the city center close to their offices. However, as most international schools are located further away from the city center, the traffic can be a big hindrance to some of your kids’ activities. Therefore, for expats with children, it is advised to find a home close to your children’s school so they can take advantage of all the extra-curricular activities and events the school has to offer. Finding the right school and securing your children’s spot in the top school is also a very important task. As the school year starts in July, most schools might not accept your children if you arrive in Jakarta at other times of the year. Therefore, it is advisable to hire a consultant who is liaised with the schools to ease the process. You and your children might also want to learn Bahasa Indonesia to enrich your life and make the most of your expat experience in Jakarta.